Wilmington, NY – The first event of the big Putnam Investment Freestyle Cup weekend at Lake Placid took place on the famed Wilderness moguls pitch at Whiteface Mountain on Friday in frigid conditions with icy snow. Australia’s Britteny Cox and Dmitriy Reiherd of Kazakhstan both scored their second career World Cup victories, albeit under drastically different circumstances, as the U.S. Ski Team placed two athletes on the podium at home. After a freezing rain event earlier in the week followed by a deep re-freeze, “Iceface” lived up to its nickname on Friday as temperatures struggled to reach the teens. Cox came into the day as the World Cup leader after taking a win – the first of her career – at the season-opening competition in Ruka, Finland, in December, and throughout the day she skied the slick Whiteface course like she deserved her place at the top of the standings. 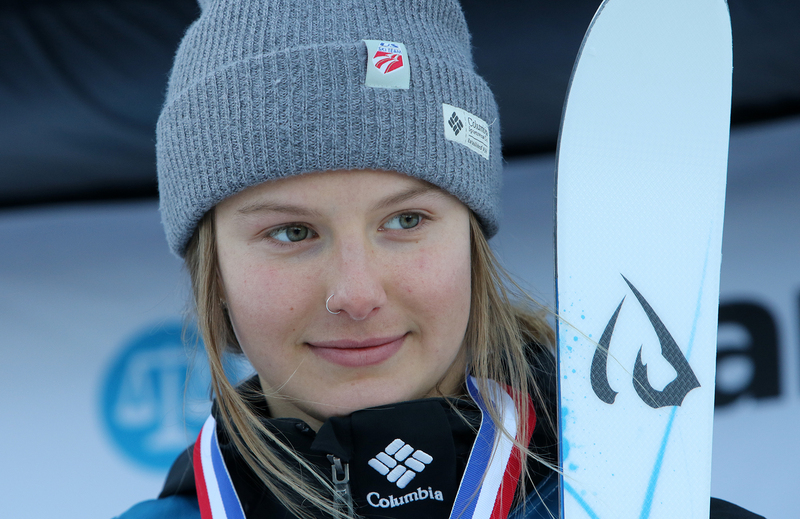 Coming out of qualifications in top spot, Cox never looked back, once again topping the field in final one before laying down a near-perfect run in the big final, linking clean turns on the slick moguls course and stomping her 360 and laid-out backflip airs. Combined with her top time in the big finals it was enough to give her a score of 75.27 and her second win in as many contests this season. “I’m super stoked to get back-to-back wins,” said a beaming Cox from the finish area, “After my win in Ruka it was my goal to come here and do it again. The course got more challenging as the day progressed and I’m happy I was able to adapt and finish the day on top. As Cox mentioned, young French phenom Laffont is indeed hot on her heels, as the 18-year-old has now finished runner-up to Cox in both this seasons events. While Laffont held the slight edge in turning scores over Cox, she finished with a score of 74.20, and she’ll need to up her jumps and speed if she hopes to topple the Aussie in the next competition. Third on the day went to the Morgan Schild, of Pittsford, N.Y., who made an impressive return to competition after missing all of the 2015-16 with a serious knee injury. 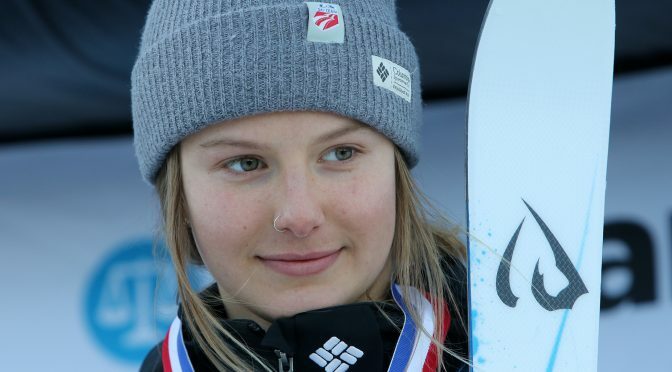 Heralded by some as the USA’s heir-apparent to the great Hannah Kearney, 19-year-old Schild skied with increasing confidence throughout the day, and her inverted 720 on the bottom air bump was one of the most impressive jumps for any of the ladies all day. 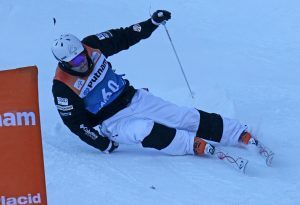 Friday’s competition was Schild’s first World Cup appearance in 22 months. After her qualifying run she slid into the finish corral with a huge smile on her face – it was obvious she was feeling good. The U.S. advanced seven women into finals, including Schild. While Cox went two-in-a-row to get her second career win, men’s victor Dmitriy Reiherd had to wait nearly nine years between victories, with his first coming back in March of 2008 in Åre, Sweden. Rieherd skied perhaps the most aggressive runs of any man on the day, throwing an off-axis 1080 off the first pitch that could easily have spelled disaster with the steep, dark, and icy slope he faced upon landing. However, the burly Reiherd was unfazed and the risk paid off as he earned the highest jumping and turning scores of the big final. Finishing with a score of 82.20 for a decisive victory, Reiherd also overtook Canada’s Mikael Kingsbury atop the World Cup leaderboard and leaves Lake Placid wearing the yellow bib. Second place went to Ben Cavet, for the Frenchman’s second podium of the season after he scored third in Ruka. Cavet skied smoothly and quickly on his was to a score of 80.73, and he now sits tied with Kingsbury on the moguls World Cup leaderboard with 140 points. Third on the day went to another American athlete, as Bradley Wilson of Butte, Mont. consistently laid down the most blistering times and biggest airs of the day to earn a score of 78.08 and cap off a strong day for the host squad. Similar to Schild, Wilson suffered a season-ending knee injury in 2014 and returned to competition in Feb. 2015 with a World Cup win. Since then, the 2014 Olympian has continued to be a strong force on the U.S. men’s team. But his podium at Whiteface didn’t come easily. After watching his brother Bryon suffer a crash in the round of 16, Brad had to stay focused and make it down the course one more time in the super final. Surely pushed by Reiherd’s performance just ahead of him, Kingsbury had an uncharacteristic bobble in his run that dropped him all the way down to sixth place on the day, and stripped him of the yellow bib for the first time since the 2013/14 season. 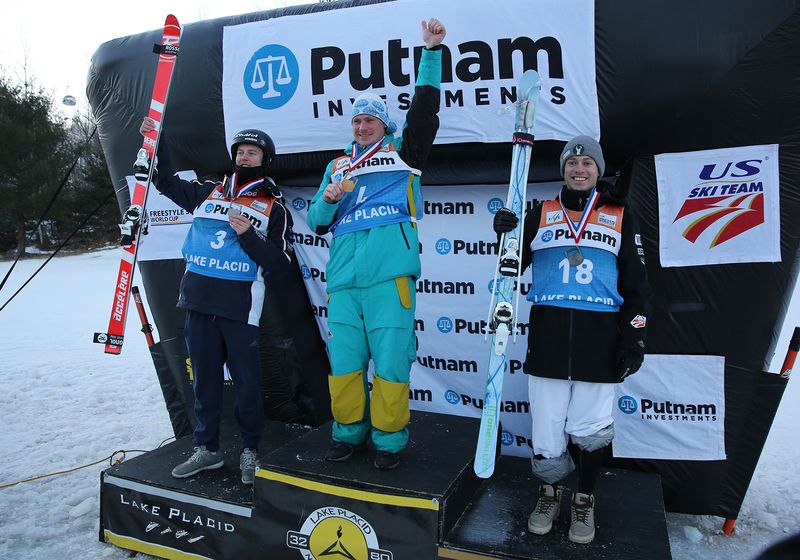 The Putnam Investments Freestyle Cup concludes on Saturday with the men’s and women’s aerial competitions. From Lake Placid the moguls World Cup moves up to Canada’s Val Saint Côme in Quebec for competition on Saturday, January 21, where the typically strong Canadian squad will be looking to get back on track after being shut out of the podium this weekend.